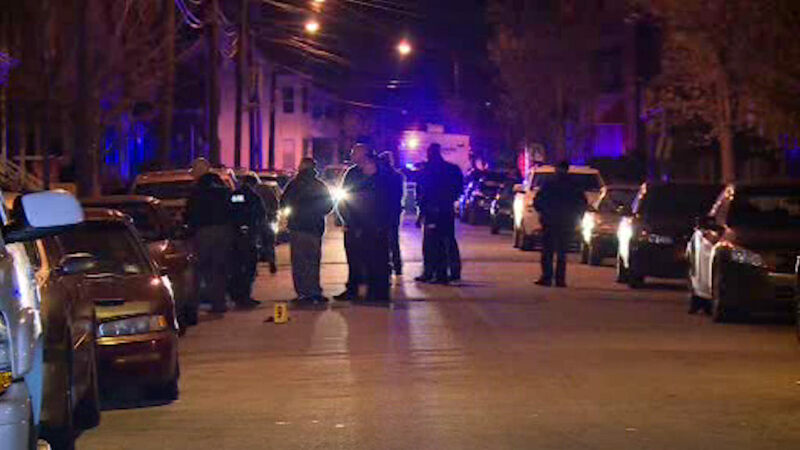 ORANGE, New Jersey (WABC) -- Police in New Jersey are trying to figure out who gunned down four people in Orange, killing one of them. A makeshift memorial has been set up at the spot where 17-year-old Davon Jones was shot dead Thursday night. Four other men were treated for gunshot wounds that are not considered life-threatening. Police say the suspects fled the scene in a green Ford Explorer.